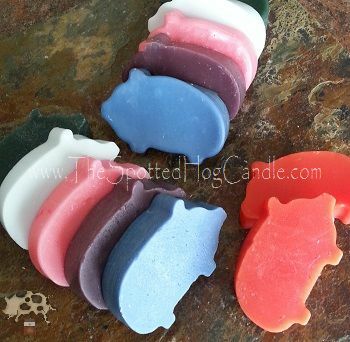 "Indulge your senses in the rich aromas of Spotted Hog Candles ®." Please view our Newsletter for information on our new scents, sales and new products! 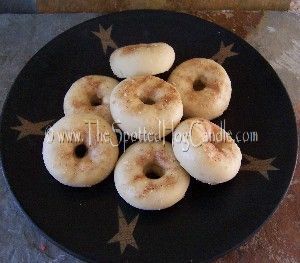 Welcome to The Spotted Hog Candle Company® where bakery scents are always the specialty of the day. Here you will find a plethora of richly scented jar candles, tarts,votives and more. We're biased :-) but feel our candles are the most even burning & highly scented candles available. Every candle, votive, and wax tart is individually hand poured at the time of order using only the finest candle waxes & fragrance oils. We're passionate candle and fragrance artisans with over a decade of experience. We offer great candles, great pricing and flat rate shipping no matter how much you order. We use a secure shopping cart for your ordering convenience. (*Continental US only. )Does not apply to international or wholesale orders. Please see our new flat rate shipping tier on our Store Policy Page. The Spotted Hog Candle Co.® Established in 2000! Subscribe to our mailing list! We promise not to flood your inbox or share your information : ) We'll only email you when we have new stuff, new yummy fragrances or sales you'll want to know about. Copyright © All rights reserved. This site contains copyrighted material, trademarks and other proprietary information, including, but not limited to text, photos, graphics and the entire contents of TheSpottedHogCandle.com are copyrighted as a collective work under the United States copyright laws.Users shall not publish and distribute such material (in whole or in part) and/or to incorporate it in other works in any form, media or technology now known or hereafter developed. Copyright and Trademark infringement is a crime and will be prosecuted to the fullest extent of the law.